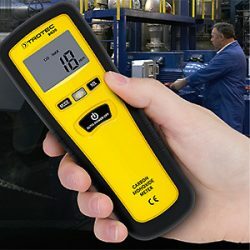 The testo 350 Analysis Box contains the sensor system and the electronics that are needed to perform emission measurements. 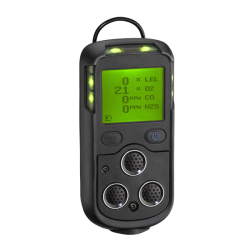 The Analysis Box comes standard equipped with an O2 gas sensor. You will, however, need to connect at least one more sensor (max. six) to operate the Box. 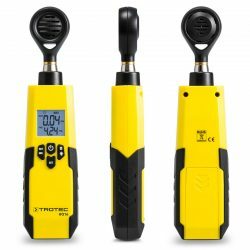 Optional sensors include gas sensors for CO, CO2, NO, NO2, SO2, H2S and CxHy.The increased measuring range allows you to carry out unlimited measurements even when gas concentrations are high. The increased measuring range (thinning) is automatically activated when gas concentrations are unexpectedly high. The measuring range of a selected sensor can be increased by a certain factor. An opening on the underside of the analyzer gives you access to all the relevant service and wearing parts, i.e. pumps and filters, which can easily be cleaned or replaced. 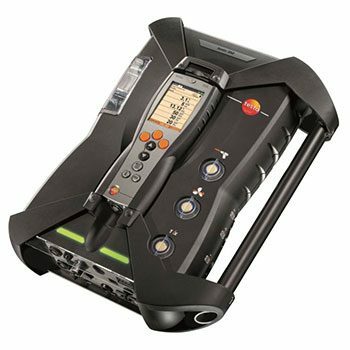 The testo 350 also has numerous diagnosis functions with easy-to-understand readings and information. The exhaust gas analyzer constantly displays the current reading.